The Concerto tapestry shows royalty in the countryside enjoying an afternoon of music. This work is a detail from the larger work, the Calypso tapestry. Here we see the regal ladies and men in flowing garments and among a beautiful garden in the woods, surrounded by a rich display of urns. The style is in the form of Greek and Roman mythology, and the balance of colors creates a scene which celebrates nature and music. 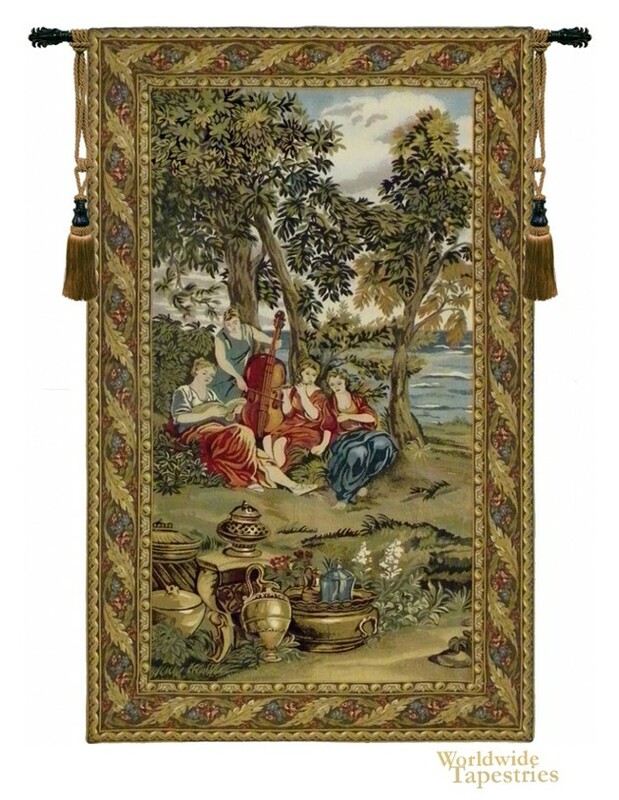 This Concerto tapestry is backed with lining and tunnel for easy hanging. Note: tapestry rod and tassels, where pictured, are purchased separately. Dimensions: W 37" x H 60"